The Supreme Court has agreed to consider on December 11 in chamber a curative plea challenging its decision by which it had dismissed a PIL filed by NGO Common Cause against appointment of Gujarat cadre IPS officer Rakesh Asthana as special director of CBI. This was made clear by the Chief Justice Ranjan Gogoi when Prashant Bhushan, lawyer for Common Cause, made an oral mentioning today morning for urgent hearing of the curative plea. "If you're going to mention your curative, it is listed on Tuesday. This is about Asthana. Right? Why keep suspense, say the name," the bench, also comprising justices S K Kaul and K M Joseph, said. The SC bench of Jsutices R K Agrawal and A M Sapre, on November 28, 2017, had dismissed the PIL filed by the NGO against the appointment of Asthana to the post of CBI special director, saying it cannot question a "unanimous" decision taken by the selection committee and the decision is not illegal. Later, the court also dismissed the plea seeking review of the verdict. Now, the curative plea, which can only be heard in chamber, has been filed against the order. The NGO in its petition had challenged Asthana's appointment, saying it was illegal as his name had surfaced in a diary recovered during a raid conducted by the Income Tax department at the offices and other premises of company Sterling Biotech Ltd and Sadesaras Group of Companies. The Centre had said that Asthana, who was earlier an additional director in CBI, was looking after its eleven zones and had supervised the investigation and trial of several scam cases, including Augusta Westland, Ambulance Scam, Kingfisher, Hassan Ali Khan, Moin Qureshi and coal scam cases. In the curative petition it is said "various crucial documents showing that the appointment/selection of Respondent No. 2(Asthana) was completely arbitrary, unreasonable, contrary to public interest and that could lead to adverse ramifications in a number of cases being handled by the CBI that were put on record by the petitioner were not considered by this Hon’ble Court". It is further stated that the judgment is silent on the issue of employment of Asthana's son with Sterling Biotech and the pre-wedding party of his daughter held at farmhouse owned by Sandesaras. It is stated that the judgment of November 2017 was passed on the basis of minutes of Selection Committee meeting handed over by the Attorney General. "The said document was without affidavit and the counsel for the petitioner was given no opportunity to rebut or use the said material. It is submitted that the said document contained the letter along with a confidential note produced by the CBI Director in the CVC selection committee meeting. The Ld. Attorney General produced the minutes of the meeting of the selection committee and withheld the most crucial letter and note of the CBI Director which contained information going into the root of the matter i.e. the name of Mr. Rakesh Asthana in the Sandesara’s diary. Thus, there was a deliberate concealment of important facts by the government during the hearing", the petition states. It is also contended that Asthana's appointment was objected to by the then Director Alok Verma. "the Minutes of the CVC Meeting, which were produced by the Ld. Attorney General during the hearing of the writ petition (without affidavit) clearly mention that the CBI director had opposed the said promotion and given a note to the effect that investigation was required in the matter. However, despite CBI Director’s serious objection in writing to the appointment on the ground of integrity, the selection committee went ahead and appointed Respondent No. 2(Asthana) to the sensitive position of Special Director, CBI". 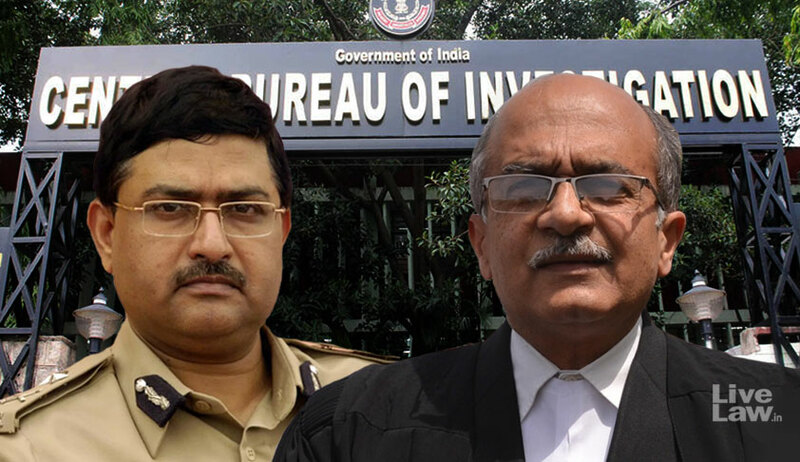 It may be noted that Alok Verma has stated in his petition filed in SC that he had reservations against the appointment of Rakesh Asthana as CBI Special Director in view of the cases pending against him. The curative petition assumes relevance in the backdrop of Alok Verma's case in SC, in which court reserved orders today. Verma has contended in SC that he was taken off charge of CBI Director in a hasty overnight action as a consequence of his decision to probe the allegations against Asthana. Verma's petition in SC stated that Rakesh Asthana had “stymied” several decisions which were crucial to the investigation of highly sensitive cases, which were being probed on orders from SC.